The BJP lost 15 of the 26 constituencies in Rajasthan, 17 of 23 in Chhattisgarh, all in Telangana and 10 of 20 in Rajasthan where UP CM Yogi Adityanath had campaigned. Bharatiya Janata Party’s chief campaigner, Yogi Adityanath, the chief minister of Uttar Pradesh, addressed more political rallies than Prime Minister Narendra Modi ahead of the recently concluded legislative polls in five states. But an analysis of results shows that the party lost over 50% of the seats in which he campaigned. Yogi addressed 74 rallies in four states in the past two months. In contrast, Prime Minister Narendra Modi and BJP President Amit Shah addressed 32 and 58 rallies respectively. Despite the fact that the saffron clad chief minister did not leave any stone unturned to polarise voters by invoking Hindutva, construction of Ram temple in Ayodhya – an issue that is sub judice in the Supreme Court – and the proposal of changing names of cities that sound as Muslim names, his party failed to cut ice with voters. The BJP lost 15 of the 26 constituencies where Chief Minister Yogi had campaigned in Rajasthan, 17 in Chhattisgarh – which he had referred as ‘nanihal’ (maternal grandmother’s home) of Lord Ram and promised the construction of Ram temple in Ayodhya in almost all his speeches he made in the state – and all of the eight seats in Telangana – where he had delivered speeches and promised change of names of cities such as Hyderabad and Karimnagar to Bhagyanagar and Karimpuram, respectively. Constructing the Ram temple at the disputed site of Ram’s birthplace in Ayodhya seemed to form a major chunk of his speeches. “Congress's politics of appeasement is creating a hurdle in the construction of Ram temple which is an emblem of India's faith," said Adityanath in his election speeches. He accused the Congress of not taking action on the Ram Mandir issue, when the case has been sub judice for nearly 25 years. In the Chhattisgarh campaign also, Yogi claimed Hanuman to be “one of the most prominent tribals”. He added that Hanuman had helped the localities by protecting them from demons and similarly, the BJP is trying to bring up safe and secured Ram Rajya in the state. 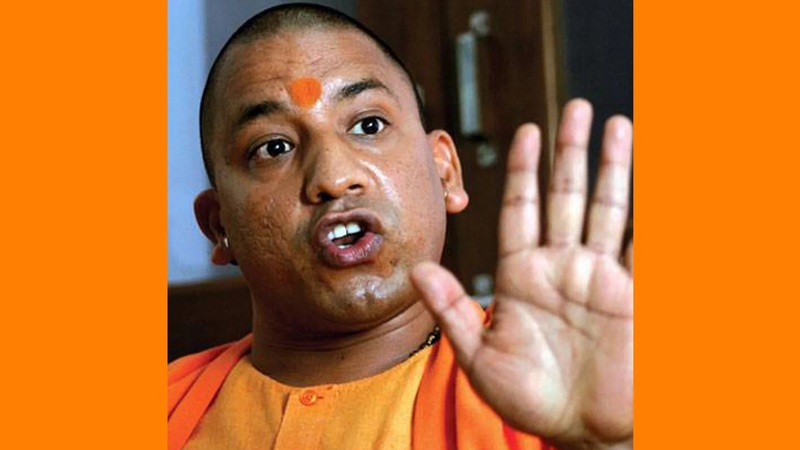 In another rally, CM Yogi made a jibe on the Congress vice -president Sonia Gandhi, saying, “Italy se ayatit saudagar (agents imported from Italy), undertook ‘anti-national’ activities like the conversion of tribals in the state.” Adityanath’s ‘Italy se (from Italy)’ reference was for Sonia Gandhi. It is to be noted that before 2017 elections, Union Minister Smriti Irani, Nitin Gadkari, and Prakash Javdekar were amongst the star campaigners of the BJP but Yogi had left them far behind with the party’s win in Assam, Uttar Pradesh, Gujarat, Himachal Pradesh and Tripura. The BJP seemed to be relying on Yogi for carrying the communal polarising message across the country in the hope of reviving its flagging fortunes due to its disastrous economic policies. But the results of the recent Assembly elections should be an eye-opener for the Sangh Parivar for Yogi has been roundly rejected by the electorate. In the three citadels of BJP (Rajasthan, Madhya Pradesh and Chhattisgarh), the party’s 41 ministers lost their seats. This include 20 of 30 ministers (more than half) in Rajasthan, 13 of 31 ministers in Madhya Pradesh and eight in Chhattisgarh, which had 12 ministers in the government of Chief Minister Raman Singh, who resigned from the office a few days back in the wake of a humiliating defeat. Considered as Vasundhara Raje’s trusted confidante Yunus Khan, the Public Works Department minister who used to be seen as number two in the outgoing government, could not save his seat. The BJP had fielded him from the Muslim-majority Tonk constituency in Rajasthan against the Congress party’s Sachin Pilot, who has now been designated as deputy chief minister of the state to co-pilot the upcoming Ashok Gehlot government in the state. Not only him, but Otaram Dewasi, India’s first cow minister who had contested from Rajasthan’s Sirohi Assembly constituency, lost to independent candidate Sanyam Lodha by 10,000 votes.